I always like to have a joke handy when people comment on my haircut. Unfortunately, since my hair is the source of all my powers, I only get a haircut roughly once every six months. Which is why I (with help from Kevin and others!) have made this list of responses for any and all people to use. Especially you, Todd, you’re looking kinda shaggy. Get that cleaned up. P.S. 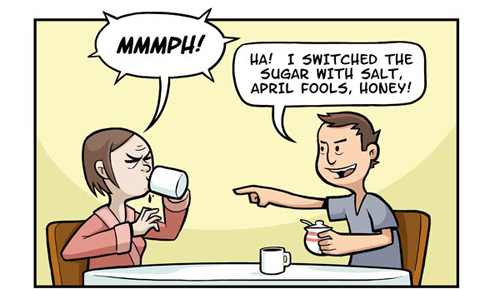 I made a new comic for CollegeHumor! It is about EPIC PRANKZ, check it out! When a joke becomes reality, your life is a joke.